A very interesting lecture was held at Waternish Hall earlier this month, given by Dr Simon Hodgkin of the Institute of Astronomy, University of Cambridge. The lecture was very well attended so thanks to all those who supported it. Simon began his lecture by telling us how he got into astronomy at a very young age and finds it incredible that he has found a job doing something he loves. 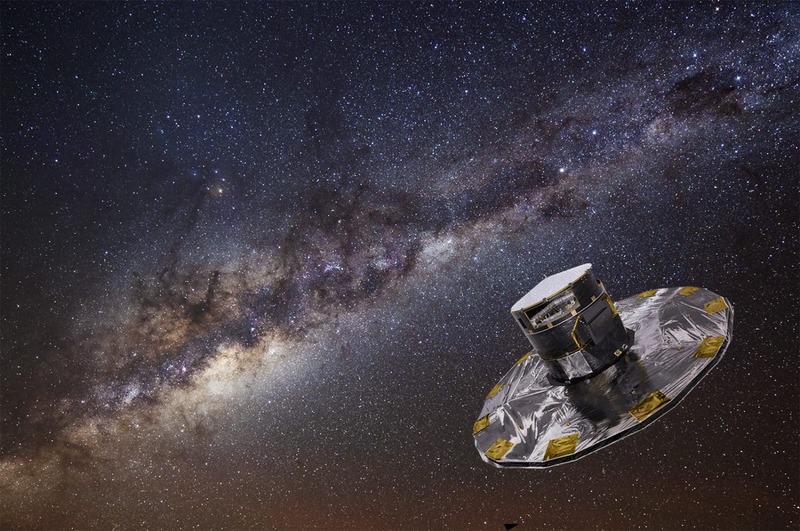 The Gaia Project aims to map out the stars in our Milky Way, which is an absolutely huge undertaking. It was launched last year from French Guiana and run by the European Space Agency. It has taken over 10 years to get to this stage. It is planned that the capsule will send back data for at least 5 years, hopefully7 and possibly even 10 years, assuming no damage from space detritus or any other mishap. The project is huge and potentially will make huge strides for physics. Of course it will probably be decades before the extent of the knowledge is revelaed. The other excitiing thing is that the Project organisers want to engage with schools and get young people involved and excited about it. So much of the web site is aimed at them. As Simon is the son of Judi Hodgkin who runs the Shilasdair Shop, hopefull we will be kept up to date with how things are going and maybe there will be more lectures in the future.